TomTom iPhone app released in New Zealand, priced at $84 U.S. The TomTom application for iPhone appeared in the Australian and New Zealand Apple App Stores Sunday, with the software-only offering available at a U.S. price of $84.41. Discovered by MacRumors, the application offers four separate maps for purchase: U.S. & Canada ($124.99 N.Z., $84.41 U.S.), Western Europe ($179.99 N.Z., $121.55 U.S.), Australia ($104.99 N.Z., $70.90 U.S.) and New Zealand ($119.99 N.Z., $81.03 U.S.). The software is separate from the hardware combo that will be offered by TomTom at a later date. While the application first appeared in the New Zealand store, and later in Australia as well, it was not, as of Sunday evening, made available for sale elsewhere. 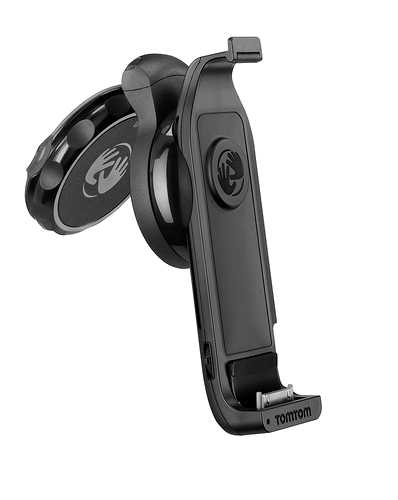 After it had announced the product this summer, TomTom did not provided any official release date. 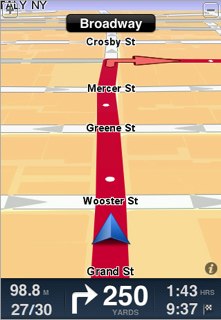 The application is said to take advantage of iPhone OS 3.0's support for true, turn-by-turn directions. The software has both nation-specific and international maps from TomTom, works in either landscape or portrait modes, and gives voice directions. TomTom did not provide an official price for its iPhone application once it was announced. A possible glimpse was given earlier this month, when a reseller listed the hardware and software combo for sale for $168.50 U.S. At the time, a company spokesman contacted by AppleInsider could not confirm that price. The TomTom software was beaten to market by a few competing options. The AT&T Navigator application hit the App Store in June. The software is free, but requires a $9.95 monthly service subscription, which the exclusive U.S. iPhone carrier plans to market alongside new iPhone sales at its retail and online stores as a bolt-on service. And the Navigon MobileNavigator application is priced at $99, but on sale for $69 through Aug. 15. It features NAVTEQ maps, lane assist, and day and night modes. While the TomTom software relies solely on the iPhone's internal GPS receiver, the hardware kit will come with its own, separate GPS. It will be one of the first external accessories to take advantage of iPhone 3.0's external hardware capabilities. First unveiled by Apple at the WWDC event in June, the accessory kit will act as a basic suction-cup mount for the dashboard or windshield. Additionally, it will amplify the GPS signal, support both hands-free calling and music through the stereo system, and charge the iPhone from the car's 12-volt port.